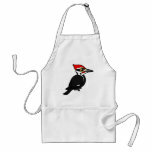 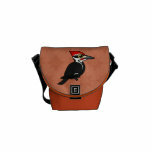 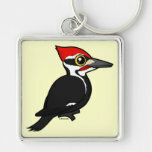 The Pileated Woodpecker is a large species of woodpecker that lives in parts of eastern North America. 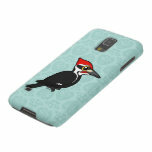 It is in the same family as the Black Woodpecker of Eurasia and closely resembles the now-thought extinct Ivory-billed Woodpecker. 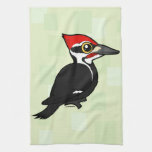 Pileated Woodpeckers of both sexes can be recognized not only by their large size (up to 19 inches long) but also by their bright flaming red head crests. 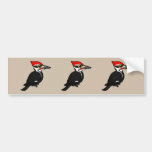 Males birds, including our cute Birdorable Pileated Woodpecker, have a red malar stripe; in females this is black.